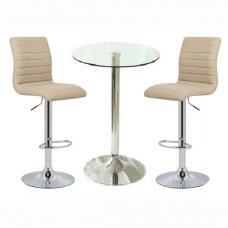 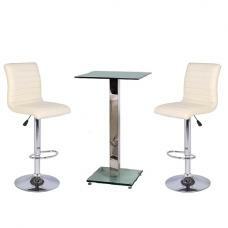 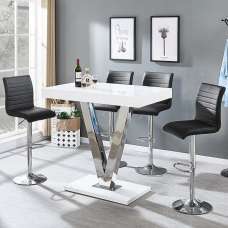 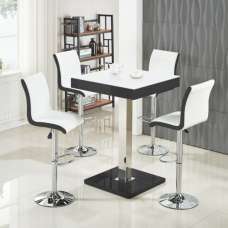 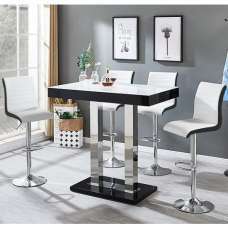 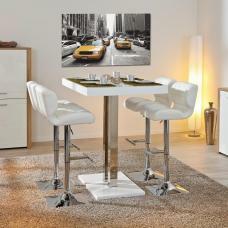 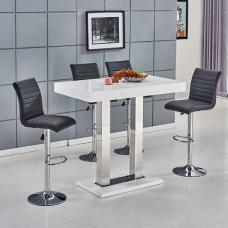 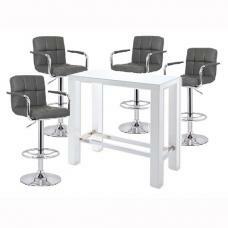 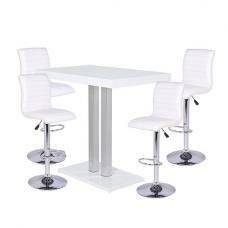 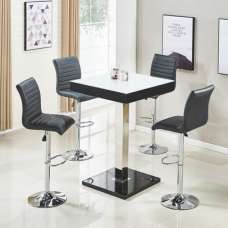 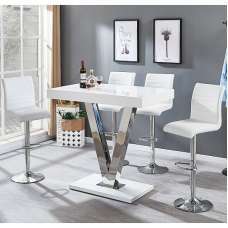 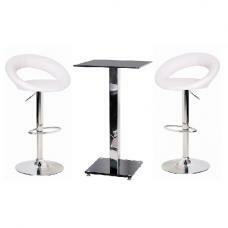 Vienna Modern Bar Table Rectangular In White Gloss And Stainless Steel And 4 Ritz Grey And White Bar Stools In Faux Leather With Chrome Base, would create a pleasant atmosphere in your home or bar. 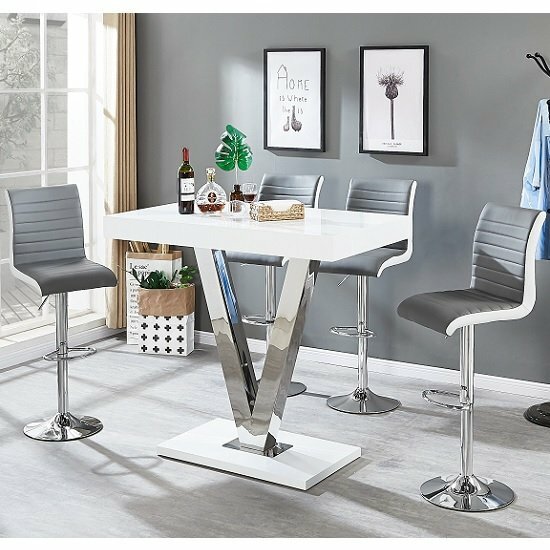 Crafted from MDF in white gloss with V" shaped stainless steel legs and stools are made of Grey and White Faux Leather With Chrome Base. 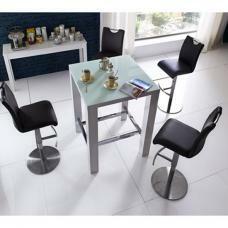 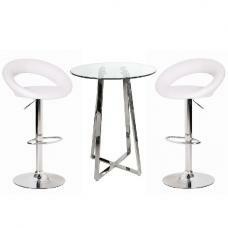 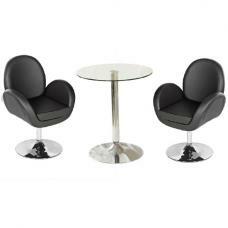 Beautifully Designed Stylish Bar Set will be an Excellent Addition to your Home or Bar.